Back by popular demand! Buzz on over to the tasting room where we will be tasting over 40 honeys from around the world from New Zealand to France and Turkey to every corner of the USA including our own back door. There is over 300 types of honey in America alone. Flavors vary based on nectar source such as lavender, acaia, avocado, tupelo, eucalyptus, orange, and pine. Every year we add few more! We take bees seriously and have put together an event that will raise awareness as well as satisfy your sweet tooth. There will be artisan bread and buttermilk biscuits to accompany the honeys. Mead, wine made from honey, will be available for sampling. In addition, there will be savory honey creations from the winery kitchen courtesy of Chef Stephan. 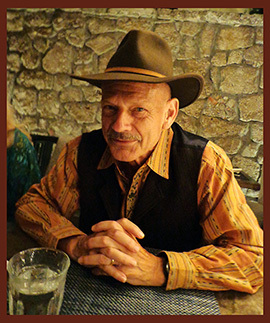 Jeremy Rose, bee authority and author of “Beekeeping in Coastal California”, will be on hand. His must-have book for home beekeepers will be available for sale along with his honey. See our live Observation Hive on display. Do your part! 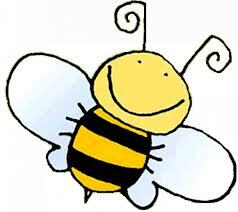 The honey bee is in trouble and needs your help. Support your local bees by purchasing an array of beautiful bee-friendly plants from Windmill Nursery on sale Friday to Sunday during tasting room hours. Honey Tasting $15 (includes tasting). Free for Wine Club members. No reservation needed. Honey collection is an ancient activity. Humans began hunting for honey at least 8,000 years ago, as evidenced by a cave painting in Valencia, Spain. Because of its unique composition and chemical properties, honey is suitable for long-term storage, and is easily assimilated even after long preservation. Honey, and objects immersed in honey, have been preserved for centuries. In ancient Egypt, honey was used to sweeten cakes and biscuits, and was used in many other dishes. Ancient Egyptian and Middle Eastern peoples also used honey for embalming the dead, as well as, being applied for its many practical health uses. It was used as an ointment for rashes and burns, and to help soothe sore throats when no other practices were available. The honey bee is in trouble and we need everyone to do their part and plant bee friendly plants! For the 2019 event, the whole town of Los Alamos is making this a mushroom weekend. The schedule still being flushed out, but most restaurants will be featuring special mushroom dishes. Pico’s Restaurant has a three course Mushroom Feast created by Chef Drew with matching wines on Friday, January 25th. Reservation can be made through the restaurant. Visit www.lovelosalamos.com for a list and description of events plus updates. This is our 13th year for this event and it keeps getting better! For those with a penchant for edible fungus, this is a culinary event not to be missed. The afternoon event unites mushroom and wine lovers alike to revel in the gustation of mushroom-centric dishes and Bedford wine. 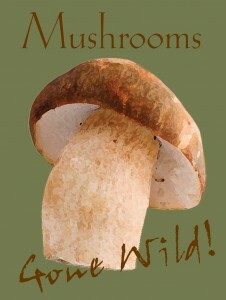 Each year “local” and cultivated mushrooms are featured along with those brought in from Oregon. Dried and fresh, there is a multitude of varieties including Chanterelles, Hedgehogs, Shitake, Porcini, Oyster, Maitake, Candy Cap, Huitacoche, and Black Trumpet. Small plates from recipes around the world continually arrive throughout the event. The fare ranges from simply grilled buttons to complex layered patés and wood-fired flatbreads prepared by the Bedford Culinary Kitchen headed by winemaker Stephan Bedford. Noted mushroom expert Bob Cummings will be on hand for those interested in expanding their fungus knowledge, along with Bedford’s extensive collection of mushroom related books and field guides to peruse. Vendor Branden’s Gourmet Mushrooms will be offering local mushrooms for purchase, and The Truffle Lady will be back with her beautifully packaged truffle items. The fungus festivities begin at 2:00 pm at the Bedford Winery Tasting Room and Courtyard located at 448 Bell Street, downtown Los Alamos. $50 per person; $40 for wine club members. This event sells out fast! For reservations contact the tasting room 805-344-2107 or tastingroom@bedfordwinery.com. Arthur Tatum Jr. is considered one of the greatest jazz pianists of all time. He became a star in the 1930s, winning fans with his radical reinven­tions of pop favorites and wowing peers with his ornate arrangements and technique. 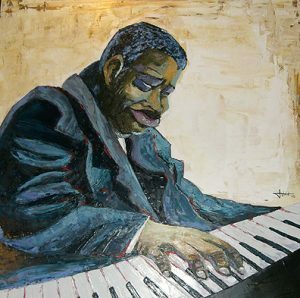 Born on October 13, 1909, Art Tatum was largely self-taught as a pianist despite being legally blind. Join us as we celebrate his birthday and his accomplishments. The courtyard will transition into a “speakeasy” nightclub. Dress in 1930s attire to really get in the mood. General: $50.00 / Wine Club: $40.00. Please RSVP to tastingroom@bedfordwinery.com or call 805-344-2107. The origin of pie may not be from this continent but it feels like it should be. Celebrate Independence Day weekend with an All-American Pie Baking Contest and Picnic at the Bedford Winery Tasting Room and Courtyard in Los Alamos on Saturday afternoon, July 7th. Each year there are dozens of entries that have included traditional apple, blueberry, pear, cherry, peach, and inventive combinations. There was also buttermilk, banana cream, lemon meringue, chocolate pecan – even a tamale pie. 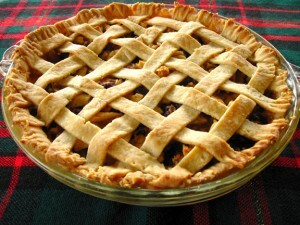 From sweet to savory, all pies types are welcome, and there will be prizes for multiple categories. A lineup of experienced judges, all accomplished bakers, will choose the winners. Guests are also judges and responsible for selecting the People’s Choice Award. Participants are asked to register their pie in advance to assist the judges in designing the best tasting format and appropriate categories. Judging begins at 3:00 PM. All those who bring a pie get free entrance. Prior to the judging will be an All-American picnic created by the Bedford Culinary Team from 1:00-3:00 pm. Entry includes picnic, a glass of wine, and pie – lots of pie. Tickets are $20, $15 for wine club members. For reservations or to register your pie, call 805-344-2107 or email tastingroom@bedfordwinery.com.